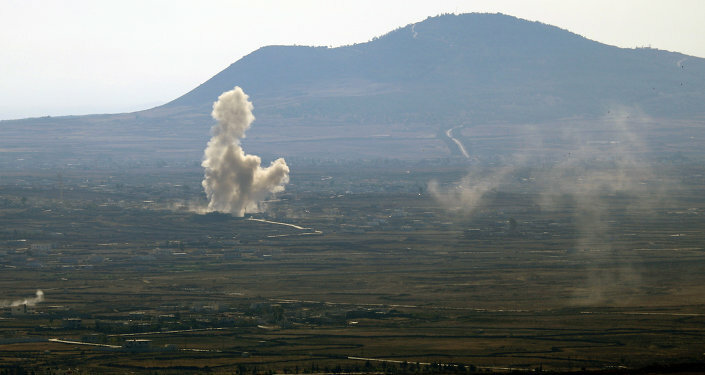 BEIRUT (Sputnik) - The Syrian government forces have liberated the last villages in the north-west of Daraa province from militants of the Daesh terrorist organization , thereby completing the rout of terrorists from the entire province, a military source told Sputnik on Tuesday. "The Syrian army has completely routed the terrorists from Daraa province after taking control of the Yarmouk Basin in the north-west of the province," the source said. Earlier this month a few hundred militants and their family members were evacuated from the Syrian territory due to a government offensive operation in the southern regions of the country. The military offensive in the regions, partially controlled by various militant groups, was launched by Damascus in June after its capital and several other cities had been shelled by local militants despite an ongoing ceasefire reached with the help of the Russian Reconciliation Center for Syria. The Syrian government aims to regain control of its border with Jordan and with the disputed territories of Golan Heights, occupied by Israel.